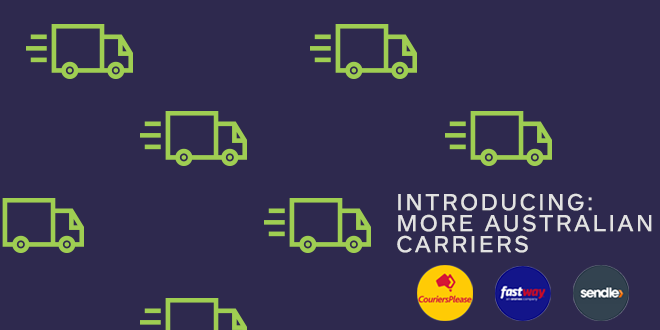 We are excited to announce that we have added three new carriers for businesses shipping in Australia! You will now be able to access Sendle, Fastway Couriers, and CouriersPlease automatically within your Shippo account. You will not need to sign up for your own account with any of these carriers – if you are shipping out of Australia and your package qualifies, you will see prices from these carriers so you can compare rates and buy labels instantly. Sendle, Fastway Couriers, and CouriersPlease are all leading parcel delivery services that improve our coverage for businesses that need help shipping within Australia. If you already use another carrier to ship in Australia, you can now compare rates and always ensure you’re getting the best shipping prices available. Using Shippo, you will be able to access many different service levels for shipping throughout Australia in one simple workflow. You can compare shipping rates, purchase and print labels, track packages and send notifications to your customers. We are committed to simplifying the shipping process for you and we hope you will find these new carriers helpful towards improving your business. If you’re shipping in Australia, check out your options today and see what these carriers can do for you!